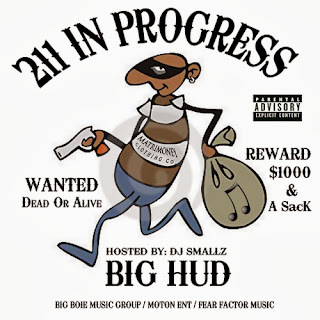 Up & coming artist "Big Hud" is back with his 4th mixtape release "211 In Progress" hosted by Mr. Southern Smoke "DJ Smallz". His first release since the critically acclaimed "The Benchmark" dropped in April of 2011. This new mixtape features 22 tracks & 4 Bonus. Some original & some jackin for beats. It has features from Rittz, Dorrough Music, Gerald Walker, Slim Gravy of A.D.d+ & more. Make sure you follow @BIG_HUD on twitter & like his fan page & we thank you for all the support. DOWNLOAD NOW &ENJOY!! !